The reason password managers exist is because we’re (a) supposed to have complex enough passwords, and (b) not supposed to repeat them. So then we end up juggling multiple codes, and struggling to remember them all. Well, not anymore. The World Wide Web Consortium and FIDO Alliance have now implemented WebAuthn, short for Web Authentication, as a standard on the Internet. It basically defines a standard of security and procedure to authenticate your identity on the Internet. And what what that means is that you’ll soon be able to use hardware devices to securely log into web apps. What am I talking about? Well, consider how some iPhone apps let you use your fingerprint scanner to log in. Basically, WebAuthn lets you do that with web apps like the browser versions of Facebook and Twitter, or even Gmail. 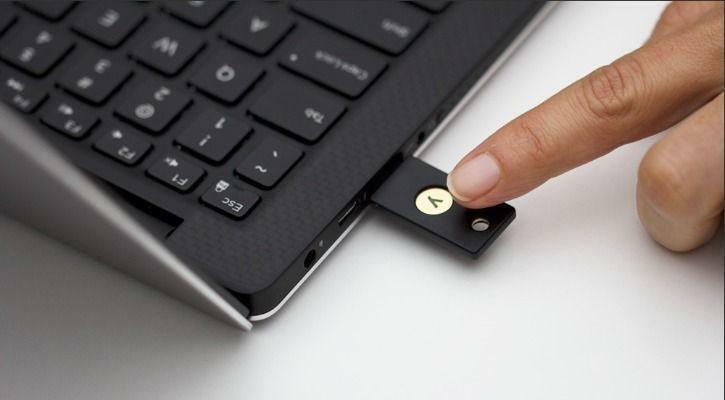 To use your fingerprint to log in would require you use a laptop with a fingerprint scanner, like the Lenovo Yoga 920. Other companies like Microsoft, Samsung, and Microsoft are also part of the FIDO alliance pushing this. On the other hand, you could instead use a hardware key like a USB. Google already uses this for it’s 85,000 employees to great effect. Basically, you need to plug in a physical device to log in on a device. WebAuthn is already supported by big name browsers like Chrome, Firefox, Safari, and Microsoft Edge. All that’s remaining for the standard to become universal is for websites to adopt the API and let people use it to log in. Of course, if you prefer, you could still keep your passwords and instead use WebAuthn as two-factor authentication. For those that can’t remember their passwords though and tend to use simple ones or reuse them, it might make security breaches less common. Either way, hopefully it’s a development we see soon.